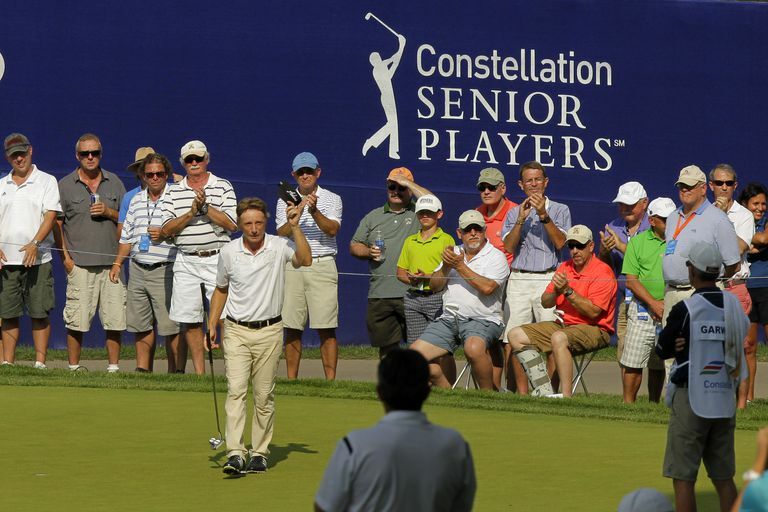 One of the five majors on the Champions Tour (but not counted as a major by the European Senior Tour), the event's full, current title is Constellation Energy Senior Players Championship. Constellation Energy has been the title sponsor since 2007. The tournament was founded in 1983, joining the pre-existing Senior PGA Championship and U.S. Senior Open as senior majors at that time. 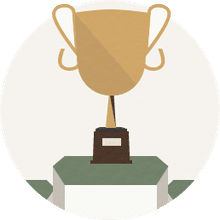 This tourney is the senior golf version of The Players Championship on the PGA Tour, and the Senior Players Championship winner receives an exemption into the following year's Players Championship. Vijay Singh won his first senior major, and it came in a playoff. Singh and Jeff Maggert finished regulation tied at 20-under 268. But Singh won it on the second playoff hole with a birdie to Maggert's par. It was Singh's third win overall on the Champions Tour. Bernhard Langer and Brandt Jobe had birdie putts on the final hole to tie Scott McCarron and force a playoff, but neither made the putt. And that made McCarron the champion. McCarron shot 66 in the final round to Langer's 73 and Jobe's 72 and finished at 18-under 270. It was his fourth career Champions Tour win and his first win in a major. The tournament in 2017 is at Caves Valley Golf Club in Baltimore, after taking place in 2016 at Philadelphia Cricket Club in Pennsylvania. The tournament has changed venues several times throughout its history. From 1993-2006, TPC Michigan was the event site. After that, it took place at Westchester Country Club in New York. From 1983-86, it was played at Canterbury Golf Club. Other courses to host the Senior Players Championship include Sawgrass Country Club, the Valley Course at TPC Sawgrass, Dearborn Country Club, Baltimore Country Club and TPC Potomoc. Four golfers have won the Senior Players Championship more than once: Arnold Palmer (1984-85), Dave Stockton (1992, 1994), Raymond Floyd (1996, 2000) and Bernhard Langer (2014-15-16). Not only is Langer the only 3-time winner so far, but Langer's victories came in consecutive years, 2014, 2015 and 2016. Jack Nicklaus came close to adding a second. After winning in 1990, Nicklaus lost the 1995 tournament in a playoff to J.C. Snead. When Nicklaus won in 1990, he set the 72-hole tournament scoring record of 261. That was 10 strokes better than the previous record at that time. In 2013, Kenny Perry matched Nicklaus' record. Three golfers have won both The Players Championship on the PGA Tour and the Senior Players Championship on the Champions Tour: Nicklaus, Floyd and Fred Couples.